It is important that students are exposed to current content in our programs no matter what subject area or grade we teach. 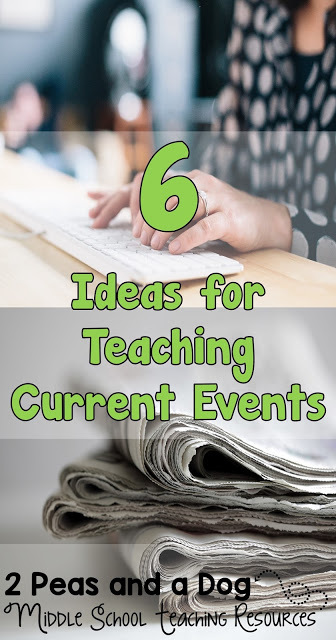 In this blog post you will find 6 easy to implement ideas for teaching current events in your classroom. 1. Provide students with regular access to print or online news media. Bring in local newspapers to your classroom, and teach students how to access online news articles using new services like Google News or Reuters. 2. 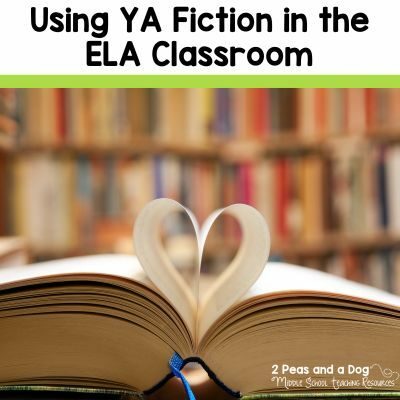 Integrate discussion provoking articles into your lessons. 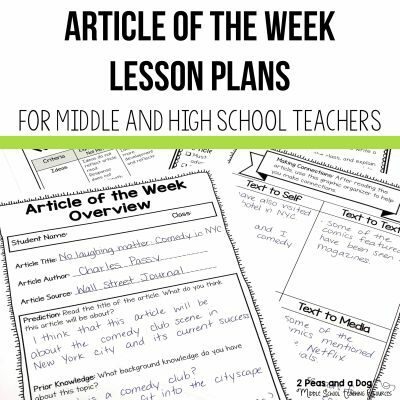 Many teachers like using Kelly Gallagher’s Article of the Week format. Dave Stuart Jr. also provides great articles for class discussion. 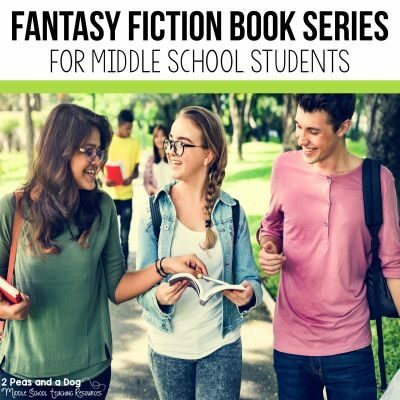 Another site I love looking for article is Vale Middle School. 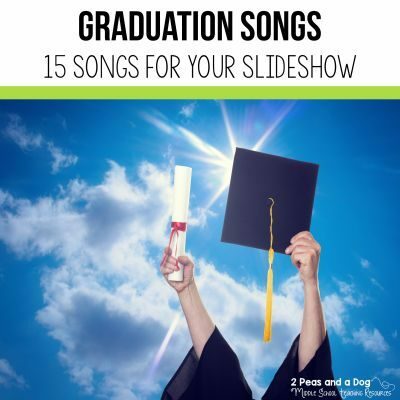 Those teachers are rock stars for writing good content weekly. 3. 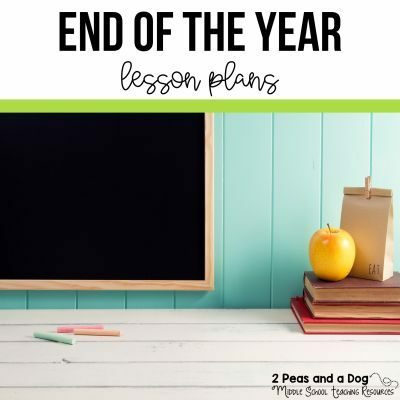 Use online student friendly new sites like Newsela or Teaching Kids News to help your students gain an understanding of current issues and topics. 4. If your students would prefer video clips CNN has a CNN Student News section, which many teachers have come to rely on for their classrooms. They post a new 10 minute video clip each day during the school year except weekends and holidays. 5. I recently learned about Listenwise podcasts for different topics. 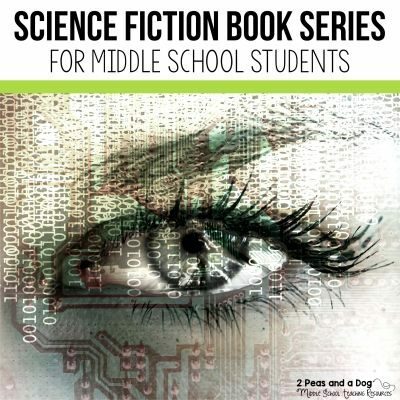 Students can listen to the content being shared. 6. 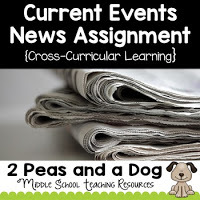 I use two assignments Current Events and Hot Topics in my classroom to keep students accountable for their current events learning. In the Current Events News Assignment students are given several different graphic organizers to analyze their current event. After their analysis they present their current event to the class to expose students to a variety of issues. 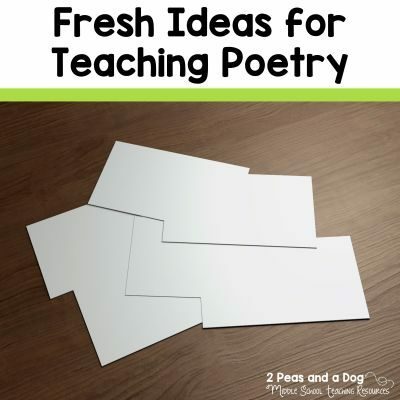 The assignment comes with gradual release teacher instructions to ensure students get the maximum benefit of this assignment. 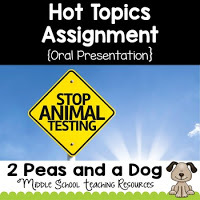 In the Hot Topics Class Discussion Assignment students are provided with a structured environment to explore controversial issues like animal testing, school uniforms or global warming and lead the class in a discussion. 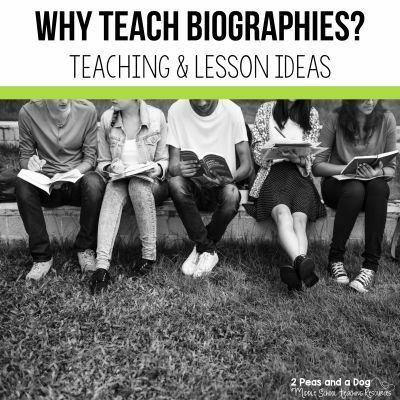 I approval all topics before students get to work on this assignment to ensure that it is related to our curriculum and age appropriate. 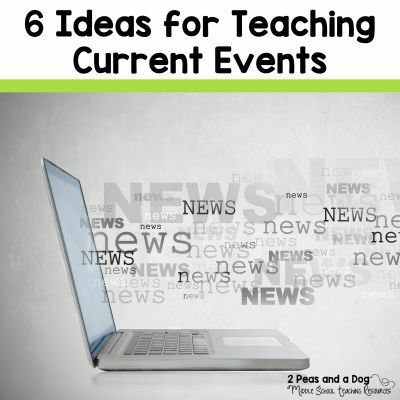 Check out these great resources the next time you teach current events.